It’s always a rewarding experience to get the chance to see an artist live after spending time getting to understand their music. 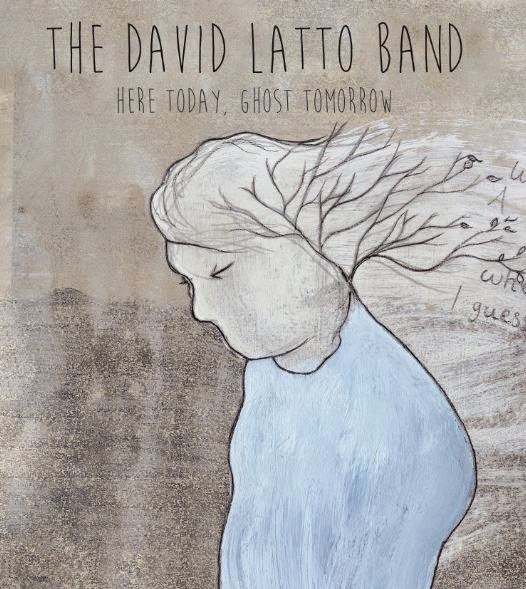 Amongst a raft of UK acts eager to promote their fruits to a wider audience, David Latto’s self-titled album in late 2012 stood out as an exceptional model for a DIY Americana record. His talents were duly confirmed after seeing him play a set at last year’s Maverick Festival and nearly twelve months on, David has returned to the studio to bring some further fine recordings from north of the border. With his sidekick Gavin Brady on production, guitar and support vocal duties, HERE TODAY, GHOST TOMORROW is a tidy collection of tunes which once again highlights David’ ability to craft, write and present songs. In a similar style to his previous material, the blend of guitar melodies and heartfelt vocals wrap themselves around a set of songs evoking memories of a sound born from the highways and wide open spaces. As on his previous album, David has elected to mix and match the song selection by the inclusion of a cover track to help cement his sound. Having previously reworked a tune from Eric Brace and Peter Cooper, this time David raided the song bank of Phil Lee, a highly respected North Carolina artist, to provide a Caledonian touch and some jangling guitars to ‘We Cannot Be Friends Anymore’. While this has been earmarked as the focus track, partially due to its radio friendly qualities, the other three original compositions rank just as highly in my estimation. The title track is a slightly sombre offering but nonetheless highly perceptive and hits the mark in the observational stakes. With its catchy chorus and even catchier title ‘Here Today, Ghost Tomorrow’ showcases David’s song writing craft and ability to apply his thoughts via this medium. Of course the instrumentation will help define a style and the faint strains of steel on the more gentle number ‘Every Now and Then’ leave the listener in no doubt of where David draws his inspiration from. 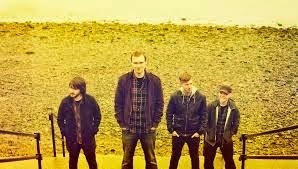 The four track EP veers in the nostalgia direction for its concluding number as the banjo comes to the fore to lead the string input on ‘Long Time Coming’. With a striking element of diversity within the confines of an alt country/Americana sound, you can make a case for any of the quartet to be the standout track and it’s probably best to let each listener decide. As HERE TODAY, GHOST TOMORROW is officially credited to the David Latto Band, it is only courtesy to mention John Mather on bass and John Alexander on drums. However together, this four piece outfit has combined well to present a short but highly competent set of songs which David can proudly place alongside his previous material. Quality EP releases have a tendency to create a desire for more and although in this modern music DIY environment obstacles are tough to overcome, there is surely more to come from the David Latto Band.